California has over 23 million licensed drivers and over 33 million registered private and commercial vehicles according to the U.S. Department of Transportation. 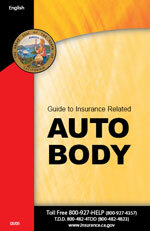 The California Department of Insurance has some great resources to help you find quality California Auto Insurance. These resources can help you with the California Low Cost Auto Insurance Program, What information you should have ready when shopping for a California Auto Insurance Quote, What are the California Auto Insurance Broker Fee Regulations, Who is eligible for California Auto Claims mediation and more. This is a list of all California Auto Insurance Companies with their telephone number or website where you can get a cost estimate of the insurance companies lowest priced California Auto Insurance Quote at the limits that you request and for which your are eligible. 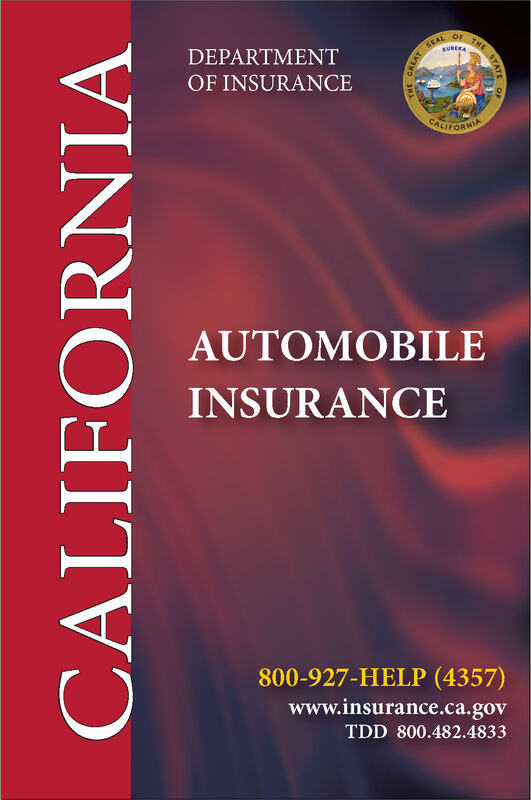 The California Auto Insurance Consumer Complaint Study is published by the California Department of Insurance to help California Car Insurance Consumers shop for the best automobile insurance. 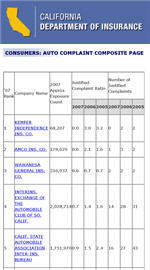 California Car Insurance Consumer Complaints are one measure to look at when selecting an automobile insurance company. Why use Auto Claims Mediation? What is Auto Claims Mediation? 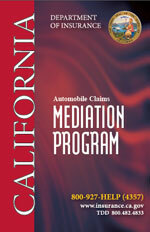 Who is Eligible for California Automobile Claims Mediation? 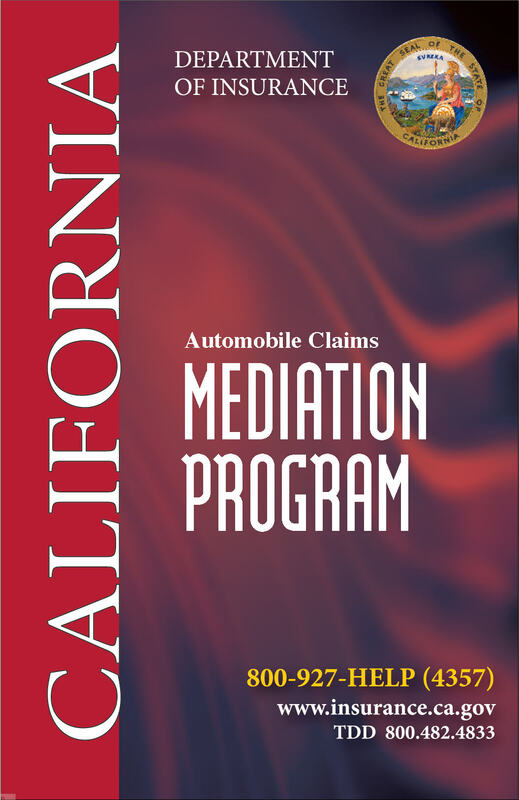 This guide covers many other issues related to California Automobile Insurance Claims Mediation. 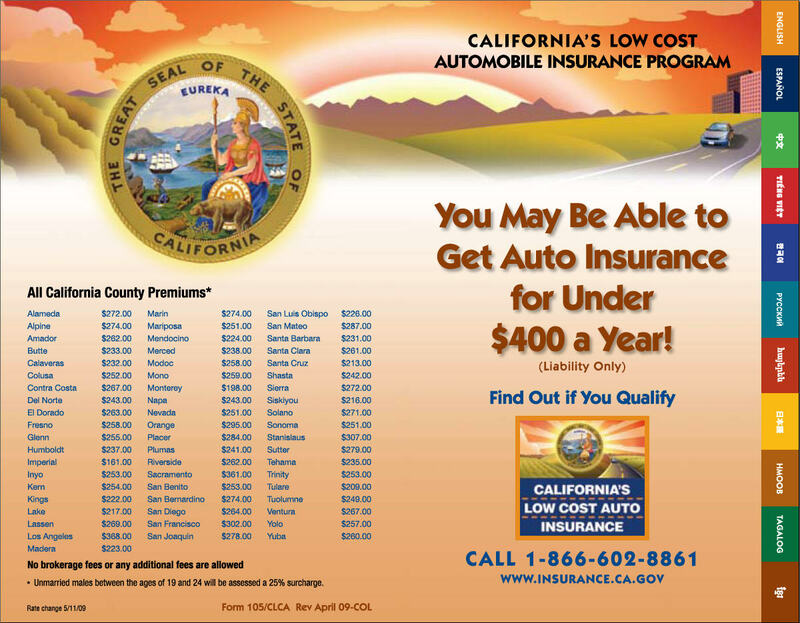 You may be eligible for cheap California Auto Insurance under the California Low Cost Automobile Insurance Program. In order to be eligible you must. Be at least 19 years of age or older and a continuously licensed driver for the past 3 years. You must qualify as a “good driver“. There are different “payment plan options” that allow you to make installment payments. What is California Auto Insurance? When must you show proof of California Car Insurance? Why should I shop around for California Automobile Insurance? 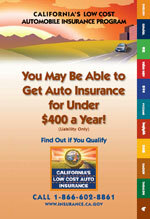 California Low Cost Auto Insurance Program. What information do I need to have ready when I get a California Auto Insurance Quote? 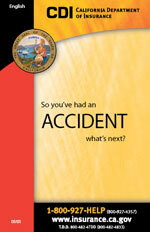 What if I can’t find a California Auto Insurance Company that will insure me? 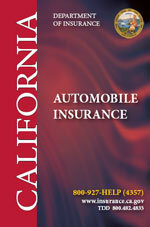 Available Coverages on Most California Automobile Policies. 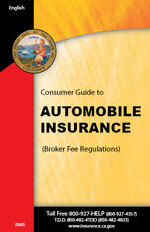 There are many more auto insurance topics covered in the California auto insurance brochure. Obtain the broker’s business card. Understand the difference between an insurance company and an insurance broker. Obtain and keep important insurance papers. Take your time and ask questions. Find out more about auto insurance. This pamplet covers those car insurance buying tips in more detail. 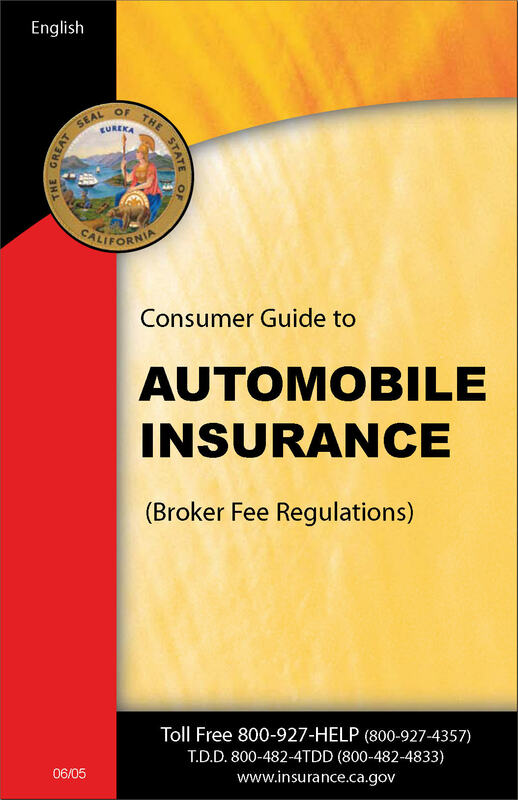 This is a great guide from the California Department of Insurance detailing auto service contracts, mechanical breakdown insurance, extended warranties and other California Automobile Service Contracts. 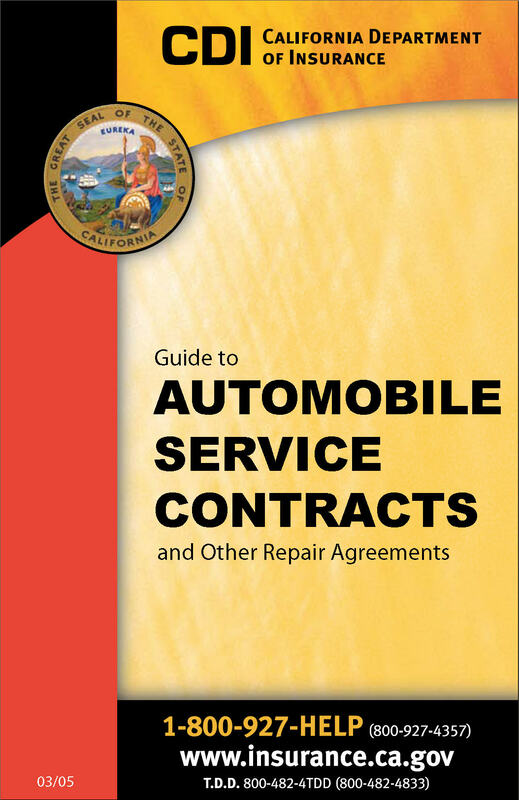 This brochure is 29 pages long and gives information about Types of California Auto Repair Agreements such as Vehicle Service Contract Provider Service Contracts, Automobile Warranties, Dealer Obligor Service Contracts and California Mechanical Breakdown Insurance. They also cover important auto service contract terms, where to buy, how to buy and how much to pay for California Service Contracts and Mechanical Breakdown insurance. 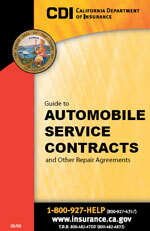 This is a good resource if you are thinking of buy California Car Breakdown Insurance or Service Contracts. This short booklet informs you of your California Auto Body Repair Rights when dealing with car insurance related auto body repair in California. What should I do at the Scene of an Auto Accident? What Happens After I File a Claim with My Insurance Company? How Does the Insurance Company Evaluate Vehicle Damage? Will the Auto Insurance Company Pay for a Rental Car While Mine is Being Repaired? What is the Salvage Value? 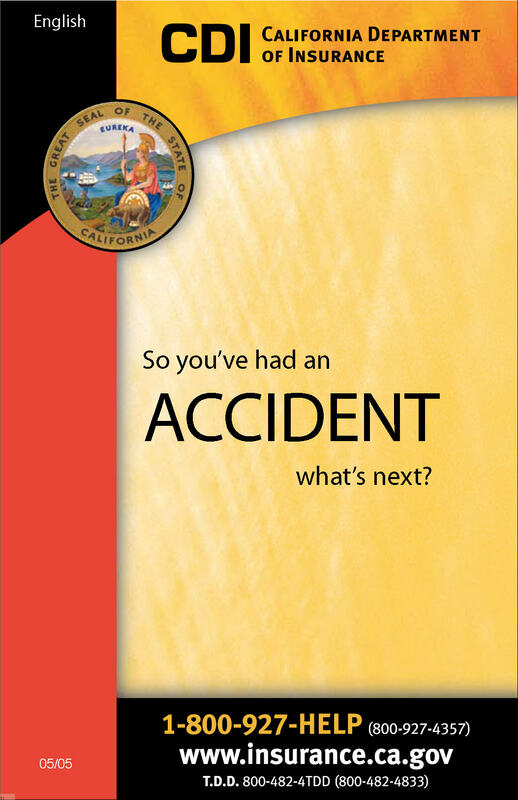 What Should Be Done if a Lawsuit Arises Out of an Accident? The California Insurance Department also gives you Important Tips, your rights under the Fair Claims Settlement Practices Regulation and much more.